David Young joined the Seahawks family as Vice President of Operations /General Manager of CenturyLink Field in February 2015. 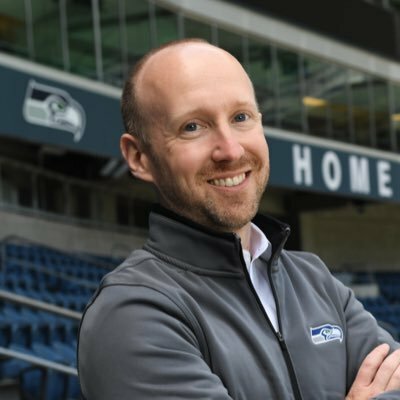 In his position, Young oversees and directs all CenturyLink Field, CenturyLink Field Event Center and theatre operations for the Seahawks and First & Goal Inc. that hosts approximately 150 events and more than 2,000,000 guests annually. Young rejoins the organization after working as the Vice President of Stadium Operations with the Kansas City Chiefs for the previous five seasons. Prior to his time with the Chiefs, he spent six years with the Seattle Seahawks and First & Goal Inc. (2004-10) as the Assistant General Manager and Director of Guest Services. Before joining First & Goal Inc., Young worked for the Walt Disney Company as the Operations Manager at Walt Disney World in Florida. The Woodland, Wash. native attended the University of Washington and is married to his wife, Ali. 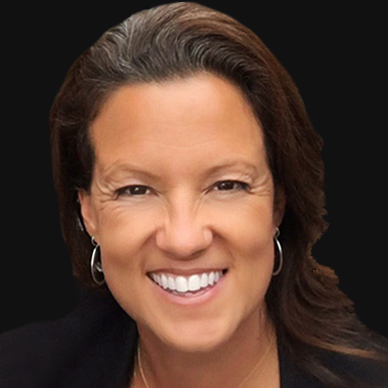 Hired on June 18, 2014, Alisha Valavanis is currently President and General Manager of the Storm and President of Force 10 Sports Management, LLC; a sports management firm that creates world-class sport and entertainment events in Seattle by providing operations, revenue generation, communications and marketing expertise. Valavanis has expanded the Force 10 Sports Management portfolio that included the Pac 12 Conference and USA Basketball, to the Seattle ProAm, Seattle Reign FC (NWSL) and the Seattle Seawolves (MLR). In her first move as General Manager of the Storm, Valavanis used the 2015 No. 1 overall pick to select guard Jewell Loyd, who went on to win 2015 WNBA Rookie of the Year. The following year, Valavanis added Breanna Stewart to the roster, bringing to the Storm the only player in collegiate history to win four consecutive NCAA Championships and four Final Four MVP honors. Breanna Stewart went on to be named the 2016 WNBA Rookie of the Year and All-WNBA second team. Deeply anchored in a leadership style that values meaningful community partners, Valavanis led the Storm to a marquee jersey and community partnership with Swedish Medical Center and negotiated a new television partnership with Q13 FOX. This partnership expanded the reach of the Seattle Storm through its live and streamed broadcasts nationwide. Valavanis also expanded the long-standing Carter Subaru partnership to include court-naming rights, a first of its kind for the Seattle Storm. A native of Valparaiso, Ind., Valavanis came to the Storm with a strong history in women’s basketball. She played four years at California State University, Chico, finishing her career as the program’s all-time leader in three-pointers. Valavanis went on to coach for the Wildcats. In her four years as an assistant coach, the program made four straight NCAA Tournament appearances. In 2006, she moved on to the associate head coach role at the University of the Pacific. She has also worked as a WNBA scout with the New York Liberty before the pivot to the business side of sports wherein Valavanis spend time with the front office of the Golden State Warriors and her final stop prior to the Storm was as an associate athletics director for Cal Athletics at UC Berkeley. Valavanis completed her B.A. in journalism in 2000, and received her masters in physical education in 2004, both from Chico. Valavanis is a member of the Seattle Sports Commission Board of Directors, the Seattle Chamber of Commerce Board of Trustees, and is part of the American Cancer Society’s CEO’s Against Cancer. Formerly, she served as a board member of the Greater Seattle Business Association and the 2016 Puget Sound Heart and Stroke Walk Executive Leadership Team hosted by the American Heart Association. In 2017, The Puget Sound Business Journal named Valavanis an 2017 Outstanding Voice honoree, given to Seattle business leaders who promote equality, inclusion and diversity. She also earned the 2016 Washington Leadership Excellence Award from the Washington Diversity Council. She was also honored as the 2016 Distinguished Alumni for Chico State. Valavanis accepts dozens of speaking engagements throughout the year to honor her passion for the blend of business, sport and community. She has spoken at the Seattle Sports Commission Women’s Leadership Breakfast, the Group Health Women’s Leadership Forum and has participated in a number of Seattle Metropolitan Chamber of Commerce events.